Rainlendar: A Customizable Desktop Calendar, Install and Configure It on Ubuntu 11.10! 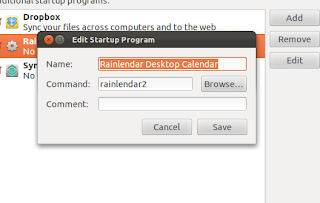 Rainlendar is a feature rich calendar application that is easy to use and doesn't take much space on your desktop. The appearance can be customized with skins and you can even mix different skins together. 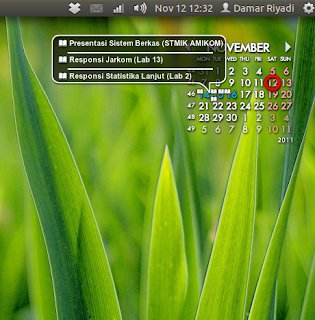 And fortunately, you can run it on Linux including Ubuntu natively. So, today I'd like to show you how to install and configure Rainlendar on Ubuntu 11.10 Oneiric Ocelot. Click on the settings menu and choose "Startup Applications". In the "Startup Applications Preferences" click "Add" and type "rainlendar2" in the "command" field. Fill in the other fields with anything you like. 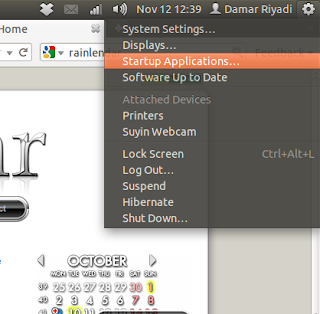 To configure Rainlendar, just right-click on Rainlendar area and then choose "Options ...:. Rainlendar can be customized with skins, you can download them here, once downloaded, extract its content to "/home/username/.config/.rainlendar2/skins". Now, you can activate your newly skin from Rainlendar options.